A small detail is that we were only 2. So we took decisions fast. We didn't have to vote or something. We had an "advantage" because we have an awesome global community and we asked for something we weren't sure how to proceed. 0. Have a clear goal. What you want to do. Have a big goal that some parts aren't "visible" when you start. 1. Web page: This is the web page-blog that will show information about community, the distro or the project. Make it visible on planets. BE CAREFUL. Don't focus on how to make a great site-blog using personal wordpress, drupal etc. Set it up on blogger and start post articles. You want CONTENT (write an article every other day). Don't spend time to maintain or secure your web page. 4. Forum: Prefer to ask from the project to setup a section for your language. If your project doesn't have forum, then ask a LUG or tech forum to use their's. Do not have your forum setup in your host for the same reasons as before. Don't spend time to maintain or secure the forum. A key to everything is to try to have all information in your language, so it'll be "attractive" to people who like the idea of open source but they don't speak English. What's the role of such people? They can organize local events. 6. If you have a newsletter or weekly magazine, it's good to translate it (or a piece of it), so the open source community in your country will learn about you and your projects. Before deciding what social media accounts to create, be aware that you have to maintain them. So search the web, what social media is more famous to users. For "tech" users, Google Plus Communities is the perfect place. It also can be used instead of Forums. A distro or project, it's not all about write code. It's have fun. So advertise it. 1. Release parties. When a new release is out, it's time to party. 3. Special teams. Check Fedora's example. 6. Then go big. Examples? 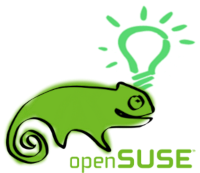 Organize something like openSUSE summer collaboration camp or if there's a global conference, you can host it. After you find people to follow you, then you can let them run special tasks (such as social media handling or forum moderator). When you're all set locally, then you can go global and show what you did. During the process, don't act as leader or president. Since we're all volunteers on this, no one likes if someone is ordering people to do tasks. People like coordination. Someone that will remind the community deadlines, news, special days. Announce the results of a task, cheer up people by reward them (somehow). People don't follow you for what you do. They follow you for why you do it. A very good reference is Jos Poortvliet's blog about 5 steps to organizing a meetup. It's a small start that might go big.